So back in February we made a rather large order at BeautyJoint, and I came out with 9 Kleancolors, my first bottle of Seche Vite, and 5 NYX Girls polishes to add to my small collection. I haven’t had a chance to swatch the Kleancolors (I was going to do it today but the weather was terrible so I had bad lighting), but a few days ago I got the chance to swatch my 5 NYX Girls for you! Yay! Red Bean Slush in direct sunlight. This one has amazing gold-bronze shimmer! Ta-dah! 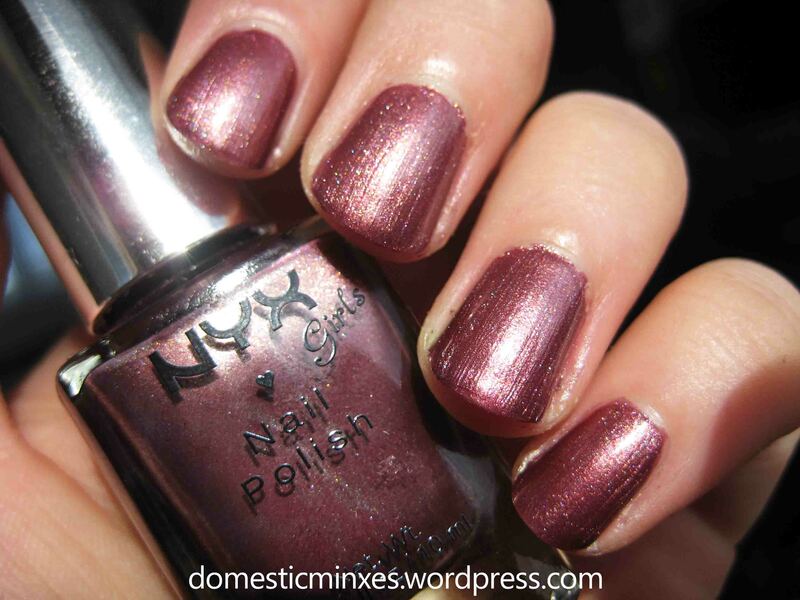 Five more lovely polishes from the NYX Girls range. P.S. 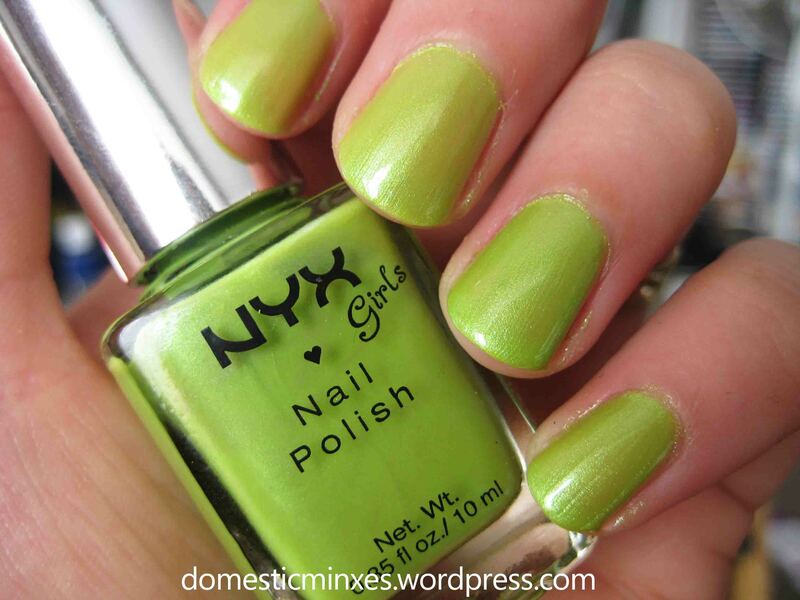 Check out my previous NYX Girls swatches here and here. 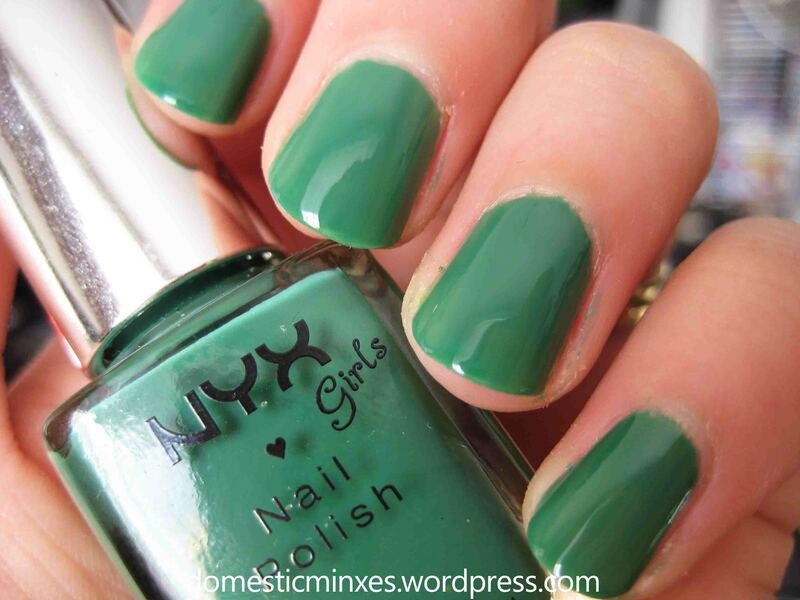 Also MaSucree’s NYX Girls swatches here and here! These are pretty. I am not sure they have them where I live. What Kleancolors did you get? I have Disco Ball, Mermaid, Forest Fairy, Pearl Jungle, Ocean Wave, and Shining Sea. You will love them. Will there be swatches:) I recently got Gold Caviar and I love it. Thanks for helping me decide that one. These look pretty nice && opaque! Great haul! I definitely want to try em out! I didn’t even think of that…. great idea.